The day after arriving back in Auckland from my trip with Audrey it was time to take on another adventure, this time with Andy. We had already planned it out before I had taken off with Audrey, so it was just a matter of packing up and heading off. We had three days and two nights to fill with fun and stories to tell. The challenge to have as good of a time as Audrey and I had had arisen, and Andy and I accepted the challenge. In less than 24 hours after returning from one trip, I was off again, this time heading to Raglan. 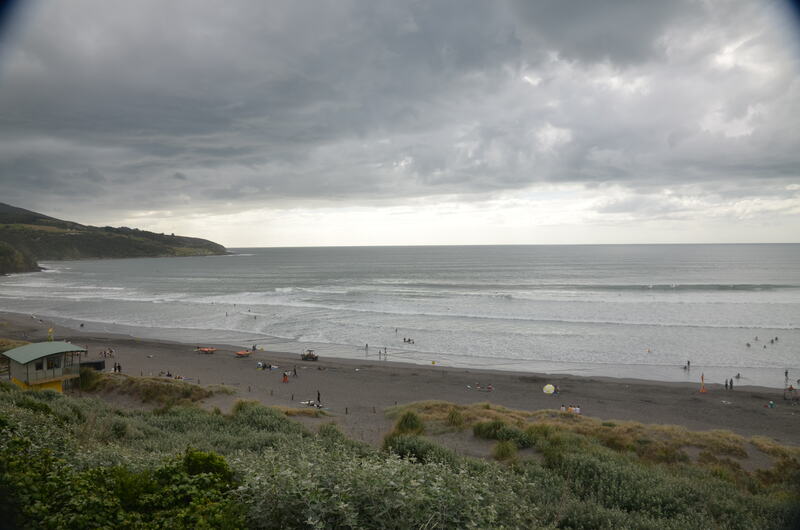 Raglan is a popular surf spot on a huge black sand beach. The day we went was overcast and we only had a couple hours to spend so we just walked along the beach, jumped along the sand dunes, and stepped on crunchy shells. It was neat to watch all the surfers wait so patiently for the perfect wave before they rode it into shore. The grace in which they caught the waves was incredible. Not something I have the balance or skill to do. We then drove to Bridal Veil Falls where we hiked into the woods to admire the cascade of water. 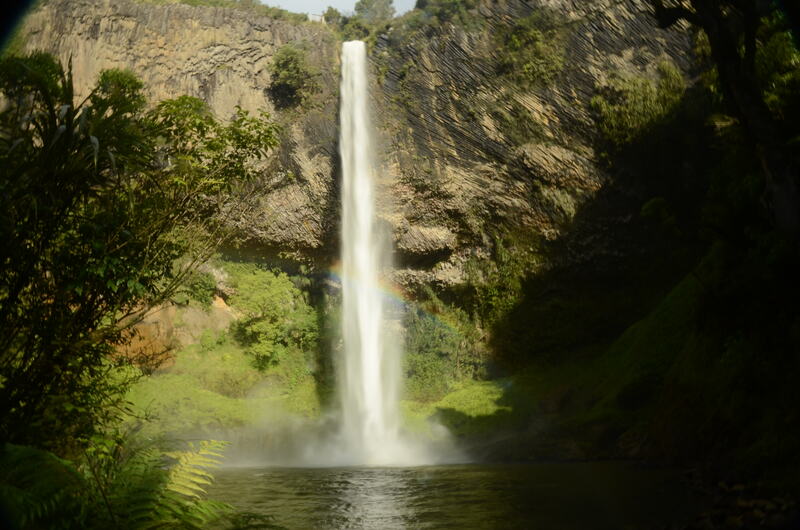 The light reflected off the mist, creating rainbows at the base of the falls. It was so peaceful and serene. We hiked down the stairs from the top of the 55 meter waterfall, down to the bottom, where we sat and admired and prepared ourselves for the hike back up. As the day came to an end we realized we needed to find somewhere to set up camp. We drove to Waitomo and cruised down back roads, trying to find a spot out of the way where we could pitch our tent and sleep undisturbed. We weren’t having much luck finding a spot so in the end Andy decided we would be camping in a field. There were no cows in the paddock we settled on, and it was out of sight of houses and main roads. I was a little unsure about the whole situation, but as the sun sank lower and lower, and the sky grew dimmer and dimmer, I didn’t have much choice. We decided against having a fire that night so instead we sat in the tent playing card games and talking the night away. We had no issues with where we camped. Every time a car drove by I would hold my breath, expecting it to be someone coming to holler at us, but it never was. We rose with the sun, packed the car back up, and drove away from the field leaving no trace that we had been there. We made our way to Cave World, the company with whom we were to do our black water rafting adventure. We booked ourselves in for later that afternoon, and then we went for a drive to kill some time. I was so excited to do the Black Water Rafting, the wait was brutal. I counted down the minutes until I would be entering a hole in the ground. It doesn’t sound very exciting when I put it that way, but really, it was awesome! When the time finally rolled around, Andy and I met up with the crew of other excited people and we were on our way. We had to stop first to get wetsuits and helmets. That was the worst part. Nobody likes pulling on cold, wet, neoprene. It was not a pleasant feeling, but I knew it would be well worth it. Once we were all geared up we each chose a black inner tube and made the climb into darkness. We splashed through shin deep water until there was no light to be seen from the cave opening. Our guides told everyone to turn off their flashlights at that point. It’s a good thing no one was terrified of the dark. We followed the instructions we were given, and upon entering complete darkness the cave was filled with “oohs” and “aahs” as we all turned our eyes to what lay above us. Like stars on a clear night the cave was lit up by little glow worms. As we sat there gazing up, we were told that it’s not actually the worm that glows, it’s their poo. The guide then smashed his tube on the water creating a loud bang. The amount of glowing specs tripled from that. It takes “having the crap scared out of you” to a whole new level. We were given the opportunity to wriggle our way into a little alcove where a big waterfall was hidden. Of course, I volunteered to go first. Looking up, I couldn’t see the top of it, I still don’t know how high up it went, but it was still very cool. The next part of the adventure consisted of us hopping into our tubes, falling backwards over a little waterfall, then floating down the river. Everyone had their lights out, and we all just laid back and enjoyed the glowing poo. It was one of the coolest things I have done so far. 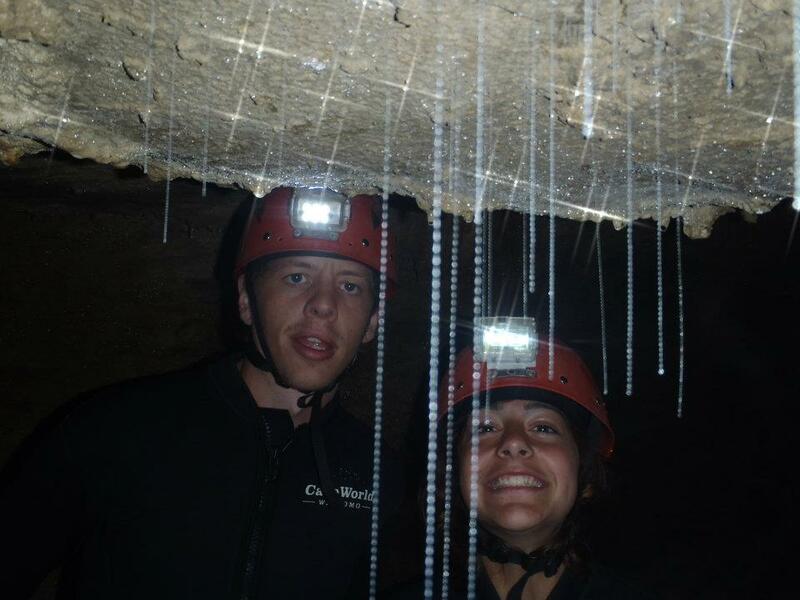 We finished our cave trip, got the photos then headed off to Taupo. It was evening by the time we arrived there, and we still hadn’t decided where we would set up camp. We stopped at Huka Falls to watch the masses of water being pushed down the river. It was pretty impressive. Our next stop was Kerosene Creek, a hot water river about halfway between Rotorua and Taupo. I checked online and someone said there was a good camping spot there, so we hopped into the car and took off to find it. We had some trouble finding the turn off for the creek, as locals love to take down any signs people put up. They don’t want it to become overrun by tourists. We eventually found it and made our way down the extremely unkempt dirt road. We hiked into the woods, along the trail that had been stamped down. We spotted the river, steam rising off it. We grabbed our swimsuits, or “togs” as they say here” and jumped on in. It wasn’t the best smelling water I had ever swum in, but it was certainly the warmest. When we began feeling lightheaded from the heat we jumped out and brought down our camping gear. We set up the tent and put all our belongings in it before jumping back into that stinky, warm creek, with the stinky, warm waterfall. For dinner that night we used a knife to cut the tops off canned spaghetti. We placed the cans in the fire until they were nice and hot. We poured the spaghetti onto slices of bread and chowed down. It was a delicious campfire dinner. The next morning we packed up our gear, went for another soak then headed off to Rotorua. Rotorua is a very neat town, geysers have popped up all over the place and there are bubbling mud pools found in the center of town. We spent a couple hours wandering through, checking out all the spots where steam was pouring from the ground. We decided to spend a bit of money and have some more fun in RotoVegas. We bought tickets to take a gondola ride up the mountain, where we hopped aboard the skyswing. The swing was hoisted fifty meters above the ground where we were then dropped to swing back and forth over the edge of the mountain. It was a great thrill and a good way to get out adrenaline pumping before we hit the luge. At the luge track we strapped on helmets and grabbed out karts, hopped on, and took off down the track. Andy and I raced down the hills, passing other lugers and trying not to run into young children. We took our corners sharp, putting our karts on their sides. Run after run, we went down the hill, pushing our limits and going faster with each run. Finally, the last run of the day, I beat Andy to the bottom. He had passed me in his kart, absolutely flying, went to take a turn, and didn’t make it. He went straight into the big dirt piles beside the track. I laughed as I watched him spin out and crash like the characters in Mario Kart games. Don’t worry though, he wasn’t hurt, and I was the champion. We left Rotorua behind and made out way back Auckland. It was a great trip and we had a lot of fun. 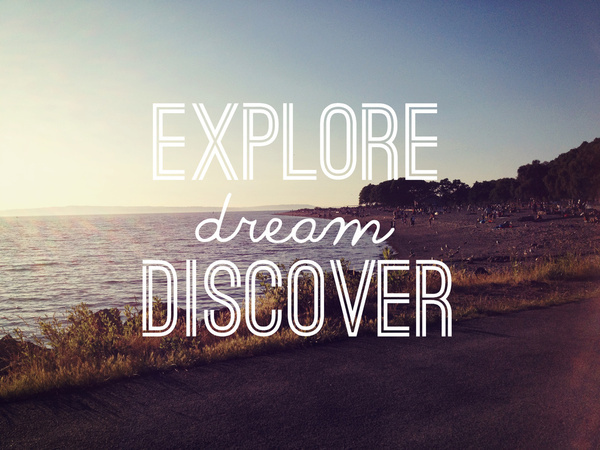 It was cool to be able to travel like that with someone who knew the area, knew a lot of the places we went, yet at the same time, was still fascinated by some of the things we did, such as Kerosene Creek and the glow worm caves. Our three day adventure was an awesome thrill, and with that I was ready to hit the roads again. Well … another breathtaking experience and not just for you and Andy … I was caught up it it all, sensing the thrill it was for you. You are an amazing girl !!! Keep up the good work and Nana IS right, you ARE an amazing girl!!!! !